Good six meter opening to AP and 4X on 26 Jul 08. Look forward to have more opening soon. Since the launch of DTT services on 31 December 2007, the first phase of DTT services covers the northern part of the Hong Kong Island, the Kowloon peninsula, part of Shatin and the eastern part of the Lautau Island, amounting to around 50% of population in Hong Kong. My home is located in northern part of New Territories, so need to wait until mid of July, 08. Last week, I purchased one decoder and connect it to my old "Sony" TV and test the reception before making any decision to but new HD TV set. The decoder start to search TV program when power on and finally all 13 channels were shown up. Signal strength is in between 57-60 % , not bad. The next step is searching around a suitable HD TV . One of the 3-500z experienced with "flash over" problem recently. 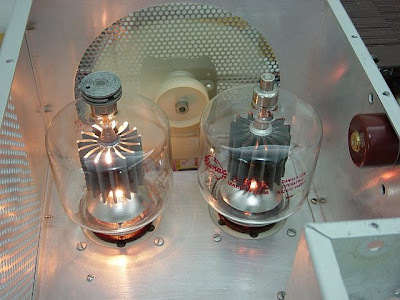 I am not sure if the tube already damaged or it can re-condition with burn-in procedure apply. I plug in the tubes (both V1 and V2) into an empty chassis, with only heater voltage connected, no HV. I have observed the V2 (flash over tube) heater not light up correctly, compare with V1. I have no idea why it is, need to check later. Over the contest weekend, the band condition was really terrible. It also happened that thunder storm during the Sunday afternoon time, I need to switch off the radio and unplug all antennas. FT-2000 has 4 voice memories, which is a convenient feature for me during contest. However, I find it inconvenient to hit the F1 - F4 function keys with my big fingers. The alternative is to buy the remote keypad FH-2, but consider it is very expensive. Information from the net that the keypad is a combination of push button and resistors, which make it as voltage divider and it is the same as the previous model FH-1, see attached circuit diagram and resistor values. 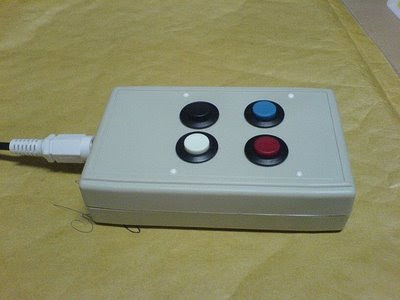 The original FH-2 keypad has 12 buttons, which are for other functions. My application is for F1-F4, so I decided to make the keypad as simple as possible by using a plastic box, with 4 push buttons. It works fine and ready for the IARU contest. I am happy to receive the RDXC 2007 Award. 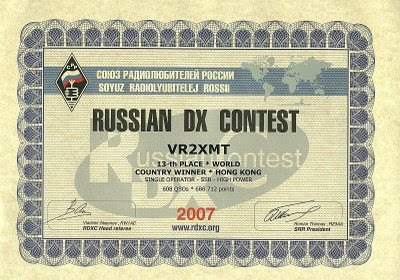 13th Place - World and of course Country Winner, because no other VR2 participate in this Category. 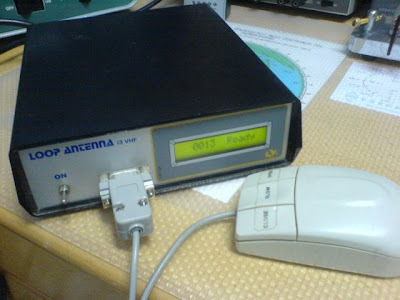 Recently I got the I3VHF Baby loop antenna from Horst, VR2BT. 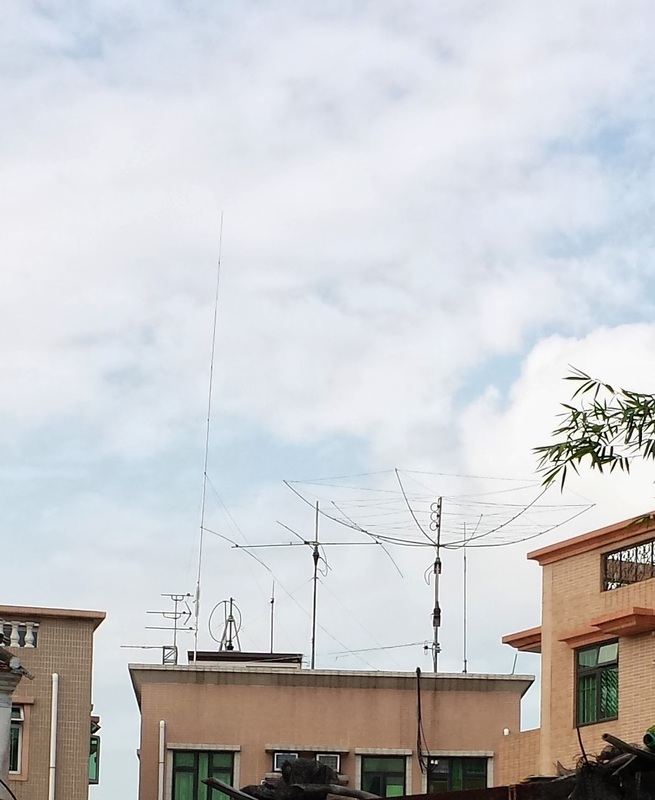 He is going to move QTH and no more room for this antenna. 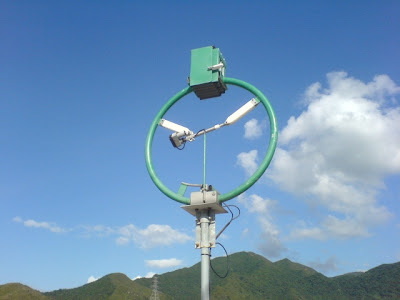 The loop antenna is quite heavy and well designed. Control open and close to the variable capacitor by using a mouse connected to the controller. I have installed it today. It works fine from 10M to 40M, performance close to the dipole.